These days, more and more homeowners are replacing their traditional tank hot water heater (with its 40-60 gallon storage tank) for a tankless system, also called an on-demand hot water heater. Sure, there is a lot to like about these newer tankless systems, especially if you’re looking to make your home as energy efficient as possible. But there are also some downsides to the technology that you need to keep in mind. Here are the pros and cons of tankless hot water heaters, so you can make an informed decision for your home. With tank systems, energy must be used to keep the water warm at all times. This can be a giant waste of energy and money. 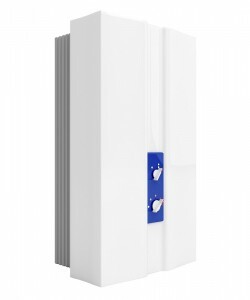 The beauty of a tankless system is that water is heated only when you need it. Increased energy efficiency is better for your wallet and the environment. So in this department, it’s a win-win. You’ll appreciate this benefit if you’ve ever experienced a shower going cold because the hot water tank ran out of warm water. That’s not the case with a tankless system since the water is heated very quickly as it flows through the system. Without the need of a huge tank, on-demand hot water heaters save a good chunk of space in your home. They can also be positioned against a wall instead of taking up valuable floor space. Tankless hot water heaters are designed to last 20 years or longer. Compare that to traditional tank systems that typically need to be replaced every 10-15 years. Tank hot water heaters are notorious for leaking when they malfunction. That means 40+ gallons of water on your floor and the high potential for damage. Since tankless hot water heaters do not store any water, this is less of a concern. There’s no getting around it – tankless hot water heaters have a higher upfront cost than standard systems. 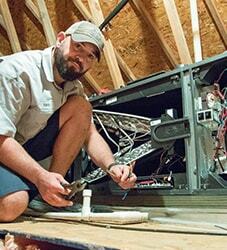 Not only is the unit itself more expensive, but you’ll also have to account for the installation of a special venting system. Since all water is heated on demand, the unit can only pump out a set amount of hot water at one time. This may only be an issue if you have a large household and multiple people are using hot water at the same time – such as someone taking a shower and another running the dishwasher. When you turn on the faucet, it will take a few seconds for the water to be warmed by the heater and travel through the pipes to get to you. This delay isn’t significant, just something you should be aware of. While you will certainly enjoy lower energy bills each month, we can’t promise that those savings will make up for the higher upfront cost of the tankless system. That all depends on your usage, energy costs, and the unit’s service life. We hope this article helps you balance the advantages and disadvantages of tankless hot water heaters. Whether or not this technology is right for your home depends on your needs, goals, and budget. 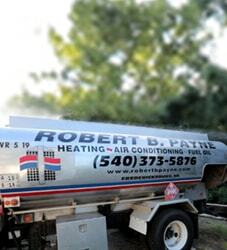 If you have questions about a new hot water heater, call the knowledgeable, friendly team at Robert B. Payne, Inc. at (540) 373-5876. 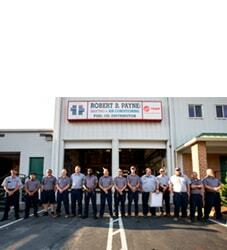 We’ll help you determine whether a tankless or traditional unit is the smarter investment for your home.